This past Friday, I enjoyed a fabulous workaction at the legendary Beverly Hilton, a Beverly Hills institution that exudes legacy and history. For the special day, I slipped out of my yoga pants and put on something glam. Most weekdays, my view is my Macbook as I'm burrowed in my office cave with the blinds drawn, Spotify's "Intense Focus" playlist on, and a pot of Kusmi gunpowder green tea brewing within reach. It's intense and sometimes it drives me stir crazy. So, when The Beverly Hilton invited me to experience a summer workaction to celebrate their 60th anniversary, I packed my laptop, escaped the darkness and drove down the street towards the light. 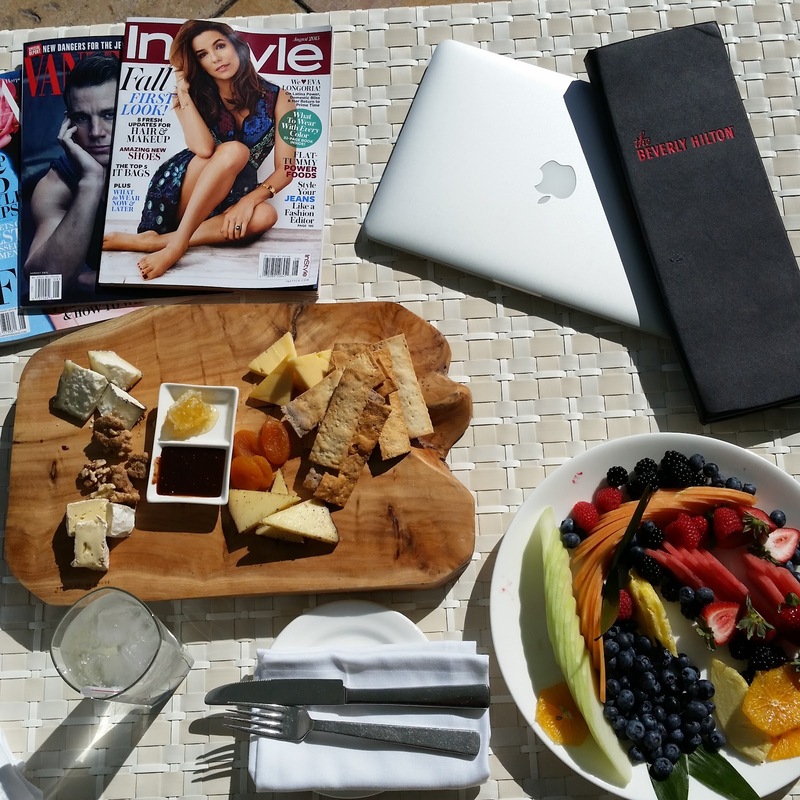 I spent the afternoon on one of the daybeds by the pool so I could simultaneously work and daydream. It was a welcoming departure from my regular nine to five scene. The service at the hotel was impeccable as our wonderful server checked on us every ten minutes and stopped by with plates of cheese, fruit, and drinks. We worked a little, played a little, and snacked a lot. Then it was off to Circa55 for dinner where we enjoyed a bounty of fresh seafood while dining al fresco. That day, I felt more productive than I've felt in weeks as the change of scenery inspired new ideas, instilled new goals, and infused a fab outlook on all that's to come! 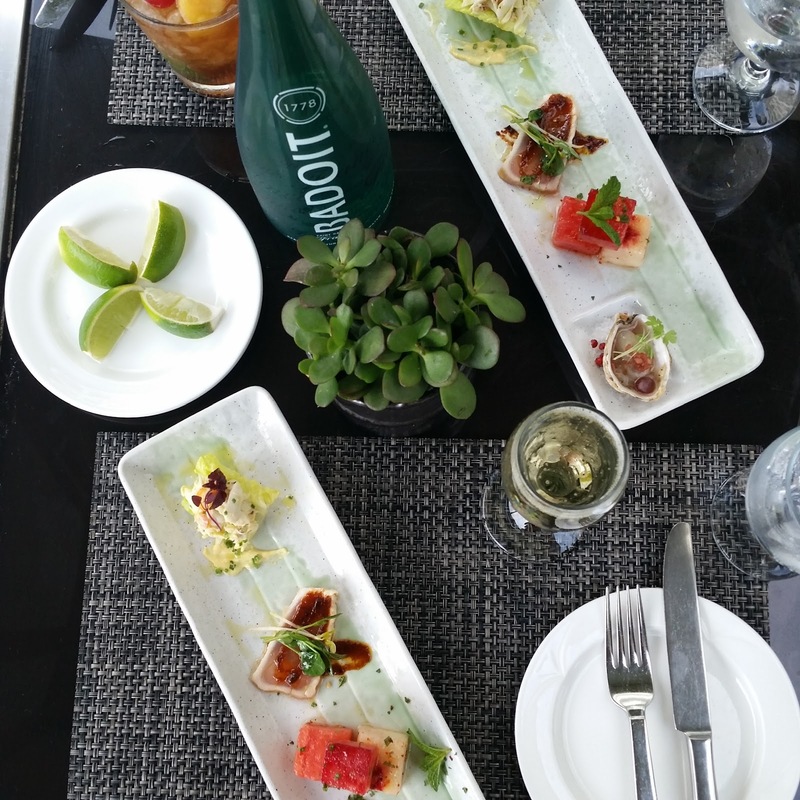 We started with a quartet of oysters, chilled fresh fruit, seared ahi, and crab salad. 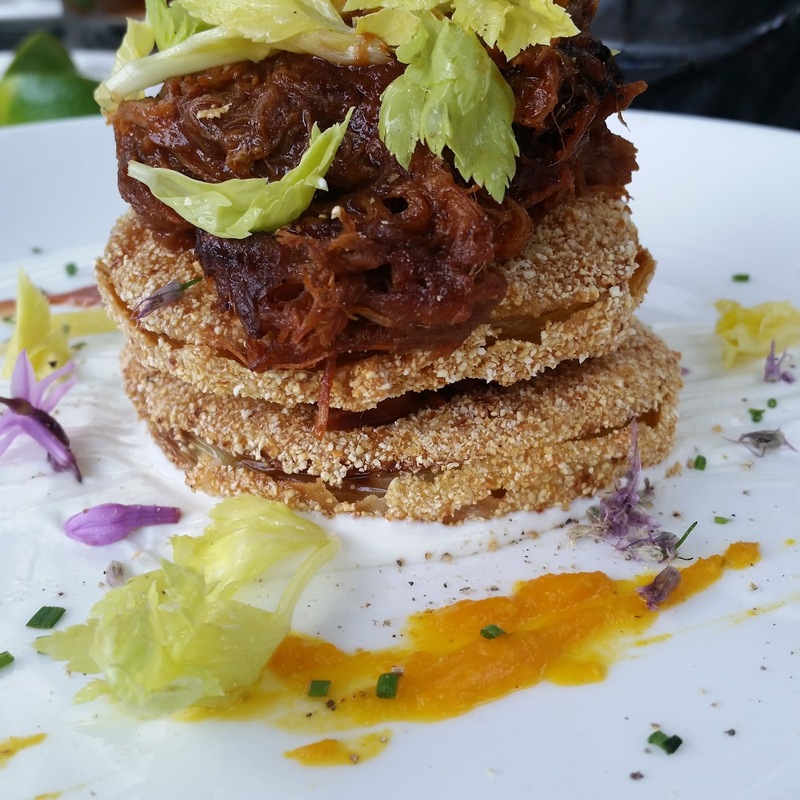 The off-the-menu fried green tomatoes buried in a pile of pulled pork was crisp, tangy, and a interesting departure from the usual LA suspects. 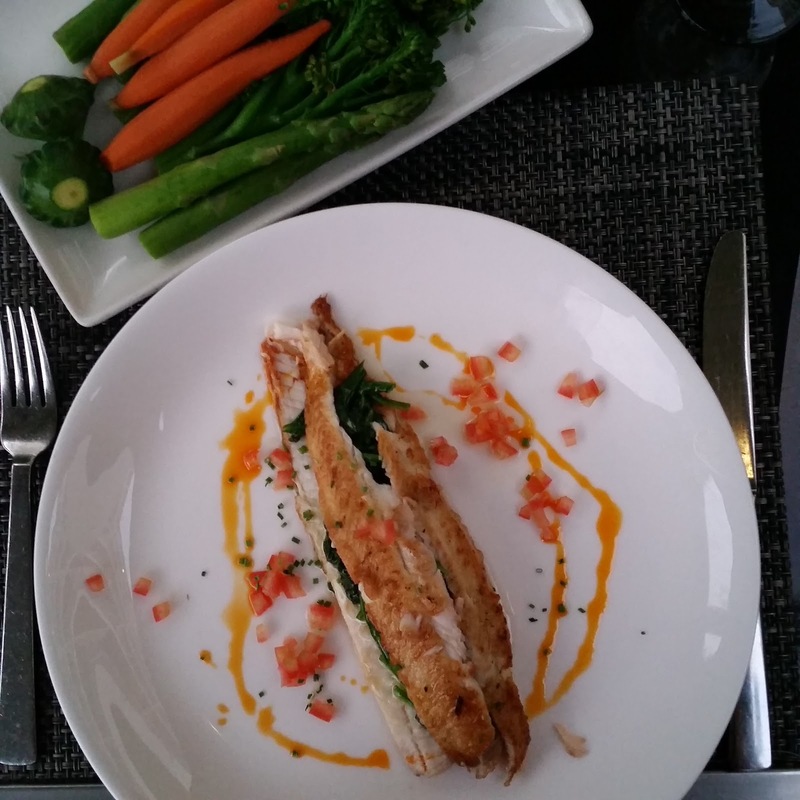 The stuffed grilled sole was sole good! The fish was fresh, light, and paired perfectly with the lightly sautéed spinach.